Mugs mugs mugs. Everywhere you turn, there they are. 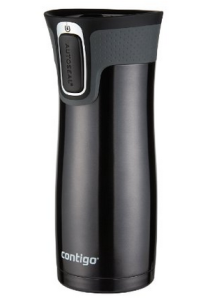 Paper, styrofoam, china, glass and now of course the ubiquitous steel travel mug. All easy to knock over and spill a lake of coffee all over you, your clothing, your bag and its contents. But no more, people, NO MORE! 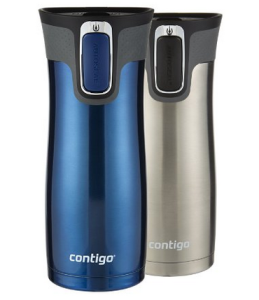 There is an answer to your best coffee tumbler tumbling straight onto your lap and potentially compromising your family line. 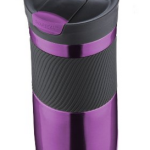 This steel travel mug review can happily announce, the quest is over for this one factor at least. The never spilling coffee cup has arrived! 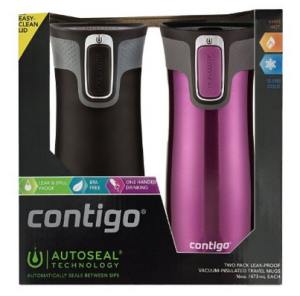 Contigo Autoseal West Loop has been patented to never spill out, even if it’s knocked over in “action”. And it works like magic. You can be drinking from this, put it down, knock it over or even hold it upside down and it will not drip. Then when you want to carry on drinking you simply release the locking catch to continue. There is also a safety function to make it almost impossible to accidentally unlock it. Better still, this will never slide from your hands because of sweat. 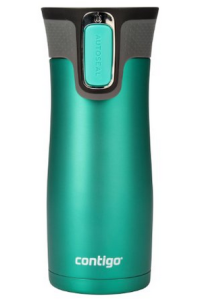 It has a unique condensation free design that will leave your hands dry and slip proof. The design has a sturdy yet sleek feel to it and it has a nice texture that you can curl your hands around in a very comfy fashion. Available in all the shades of the rainbow (and some more besides!) there is a color to suit every mood. The full list comprises of – Bright Lavender (purple), Caribbean (bright green), Sol (rusty red), Stormy Weather (gray), Watermelon (pinkish red), Biscay Bay (green with a hint of blue), Greyed Jade (subdued green), Gunmetal (gray – bit hard to tell it apart from Stormy Weather in all honesty), Latte (a grayish brown), Matte Black (not to be confused with just plain Black heh), Monaco (bright blue), Monaco Blue (slightly darker blue), Polar White (grayed white), Radiant Orchid (purple – just one shade darker than bright Lavender), Stainless (steel colored – duh), Transparent Matte Latte (coffee colored, nothing like the other Latte), Vibrant Lime (what it says on the tin), Violet (dark purple), Turquoise (er.. turquoise) and not forgetting simple Black. Here is a quick video review to show how it works. So far, so good. 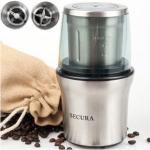 There are gleeful reports that this travel mug can even keep ice cubes frozen for several hours, such is the accuracy of the temperature control in it. It can go on the top rack of your dishwasher and it will never spill a drop. Well actually, if you are happy to accessorize it, it can also brew tea for you. The West Loop Tea Infuser is only about ten bucks and fits inside all the West Loop models (16, 20 and 24 oz). 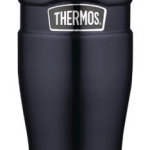 Also, this mug will fit snugly under most single serve coffee dispensing units, for ease of filling. Sounds great! So is there anything it can’t do? 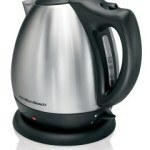 Well apart from walk itself over to your coffee pot and fill itself up, not a whole lot. So what are the downsides to owning what might be the best coffee tumbler ever invented? 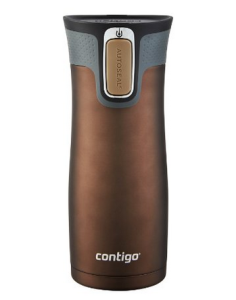 Some people have commented that the whole needing to press a button every time you want to take a sip can get a bit wearing, but until psychic technology is with us, that is just something that may have to be endured and is a small price to pay for a mug that will never spill no matter how much you throw it about. One or two have mentioned it being hard to get the aroma of coffee out of the spout, but if that is all you are using it for it shouldn’t be a problem and you could always purchase separate ones for different drinks. Ideally, proper cleaning and always following the manufacturer’s instructions should sort that out. There is even a cleaning demonstration on their website to show you how best to perform this crucial task. 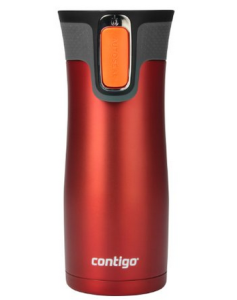 Both the lid AND the body are dishwasher safe, unlike a lot of other models out there, although you may wish to hand wash the body because…. The biggest niggle about this type of mug is oddly enough all about the exterior – the paintwork. Apparently it comes off a tad too easily and there are a lot of people saying opt for the matte colors and not the high gloss ones as there is less chance it will scratch off. The metallic colors are reportedly the best for scuff proofing. I have got to wonder just what some people are actually doing to these mugs to get such an amount of wear on the paintwork, though! When all is said and done, it is pretty hard to fault what is an extremely good product. 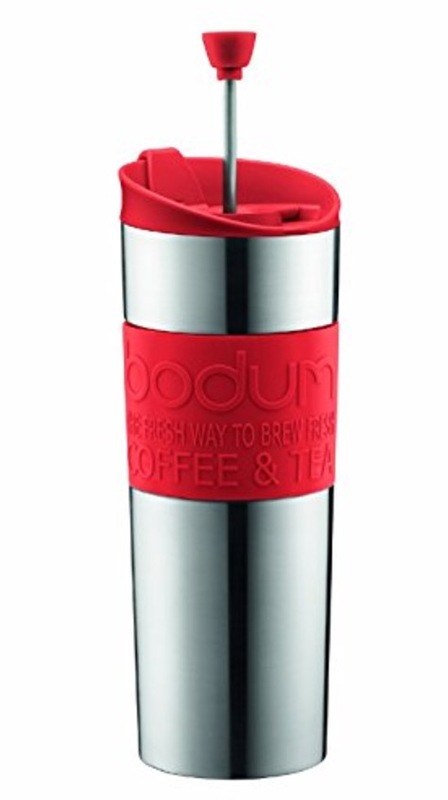 Minor issues about the paintwork scratching aside, this is definitely worth purchasing especially if you suffer from butter fingers when it comes to knocking your coffee over!